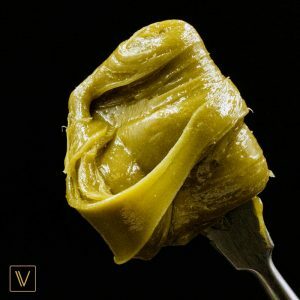 Virtue Drops Rosin-Infused Pre-Rolls For 4-20! Rosin ... Infused ... Pre-Rolls! Virtue introduces one of the most unique products to hit the market in a long time. Everyone loves pre-rolls. They're convenient, portable, and ready to go when you are. In fact, pre-rolls account for a healthy 12% of sales at dispensaries and are the third most-popular product behind flowers and concentrates. Virtue's about to change the game with their rosin-infused pre-rolls. To understand how big of a deal this is, let's take a closer look at the product. 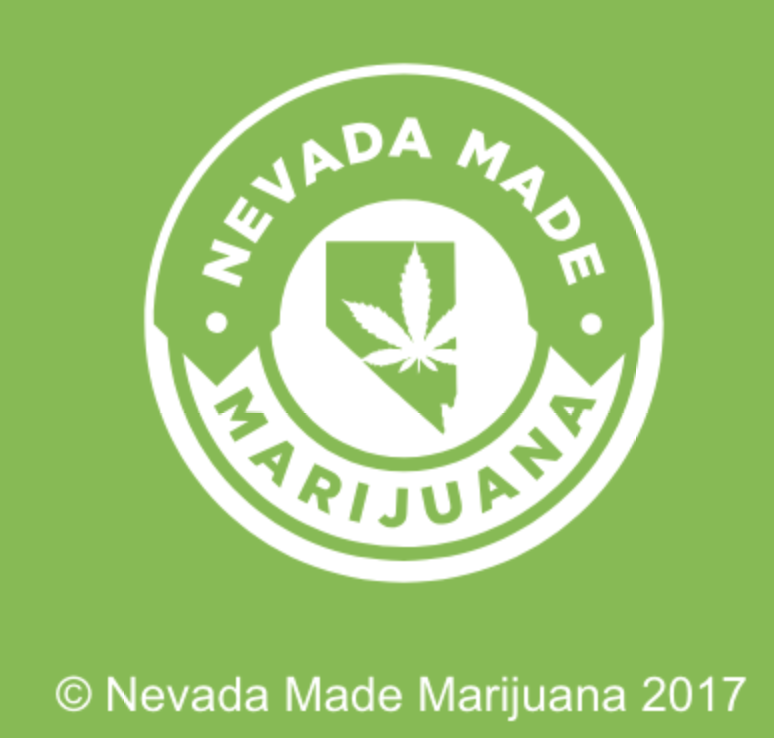 Fine cannabis products start with fine cannabis. 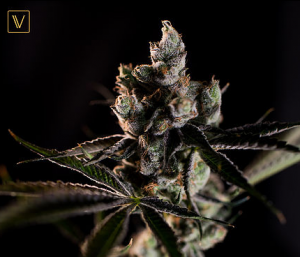 The starting material is so important, which is why Virtue only uses the finest genetics available and proven cultivation methods to bring out the best in each harvest. Virtue cultivates Clade 9 genetics, ensuring a traceable lineage for their strain library, as well as consistently meeting potency standards. All of their strains test between 20-25% THC, with many of them regularly testing between 25-30% THC. All that THC, plus robust terpene and cannabinoid profiles make Virtue's flowers some of the best on the market. When you start with great flowers, you can make great pre-rolls. Every Virtue pre-roll is made from 100% full flower. Never trim or shake. By using full-flowers, they're able to produce a pre-roll that is flavorful and potent. What could make it any better? Rosin is a very unique product, and not that easy to find. Why? To make rosin, the dry sift is squeezed under high pressure between heated plates. This heating and squeezing process activates the non-psychoactive THC-A, converting it into very psychoactive THC. It also changes the crumbly dry sift into the creamy texture rosin fans adore. This is the true essence of cannabis. No plant matter or harsh chemicals muddling the flavor or effects, which is why many aficionados claim rosin is the finest product you can make from the plant. Much work goes into making rosin, which is one reason it's so hard to find. There's also a lot of waste when making rosin. It takes approximately 28 grams of flower to produce three grams of rosin. That's a full ounce processed into less than an 1/8th of finished product. This small yield per plant is another reason so few cultivators produce rosin. It's not as cost-effective as selling the flowers themselves. Virtue doesn't let any of that stop them from making some of the finest rosin you can find anywhere. They've been making rosin for years and have perfected their technique. Every batch is smooth and creamy, with those unmistakable flavors and effects that can only be had by starting with top-shelf flowers. Infused pre-rolls are nothing new. There are plenty of them on the market to choose from, but should you pick just any infused pre-roll? NO! 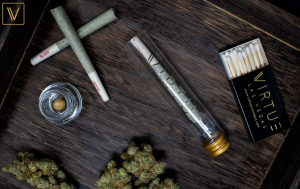 Most infused pre-rolls are made from low-grade products. We're talking shake and trim soaked in distillate. And not even the good shake and trim, the low-testing stuff. It's easy for a producer to grind it all up, spray it down with low-grade concentrates, and pack it into pre-rolls. Not very appealing. Virtue takes a different approach. They start with the amazing flower and rosin described above, and lovingly hand-roll and package every single infused pre-roll. This dedication to producing the best infused pre-roll they can is standard practice for Virtue. They take quality very seriously, and it shows. 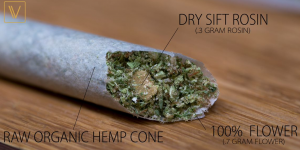 Each rosin-infused pre-roll is hand packed into RAW Organic Hemp Cones. Featuring .7 grams of flower and .3 grams of rosin, this is one potent pre-roll. And one that will last a lot longer than your normal pre-roll. As the rosin begins to melt, it creates a wick effect. This wick effect provides an indulgent experience because it extends the time the pre-roll burns. Make sure you set aside the perfect moment to enjoy one of these. So mark your calendar for 4-20 and get here early to pick up one of the most special products we've seen in a long time! I'm here to walk through walls ... not sink into floors. Do You Know 1933 Industries?